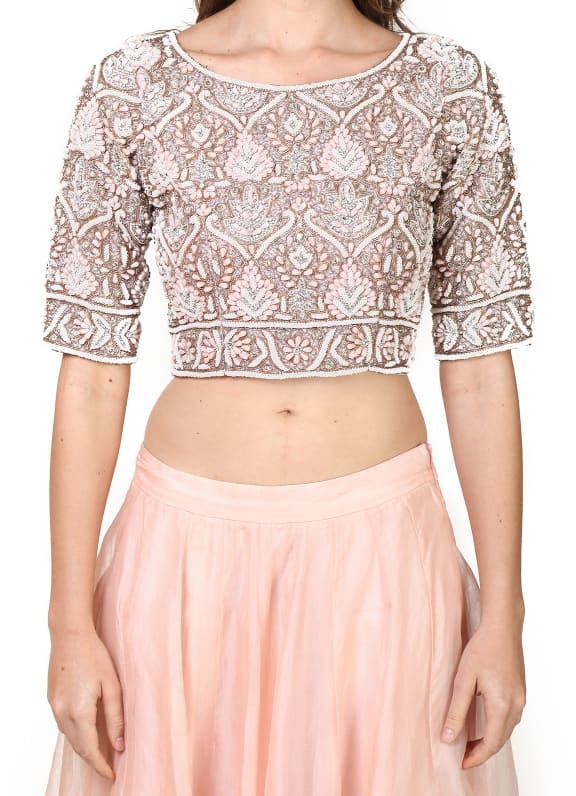 This set features a pastel pink blouse in organza base with pearl and nakshi embellishment. 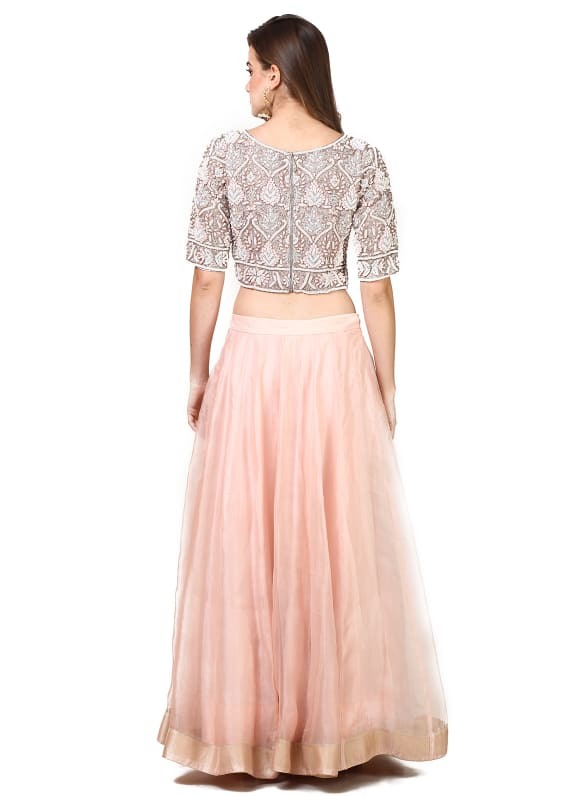 It is paired with a matching lehenga skirt. 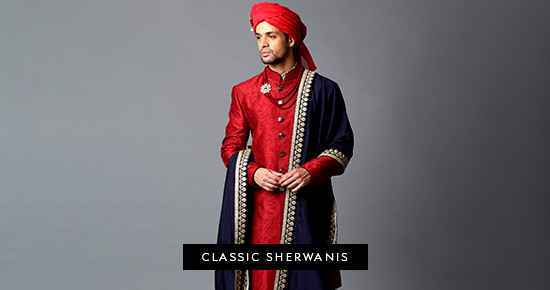 With the right mix of pastel and bold hues, this ensemble sets the perfect tone for a mehendi ceremony. Complete your look with a pair of Amethyst earrings and an Alana bag.